In 1935, H.F. Johnson, Jr. flew 15,000 miles to cultivate carnaúba palms in Brazil. 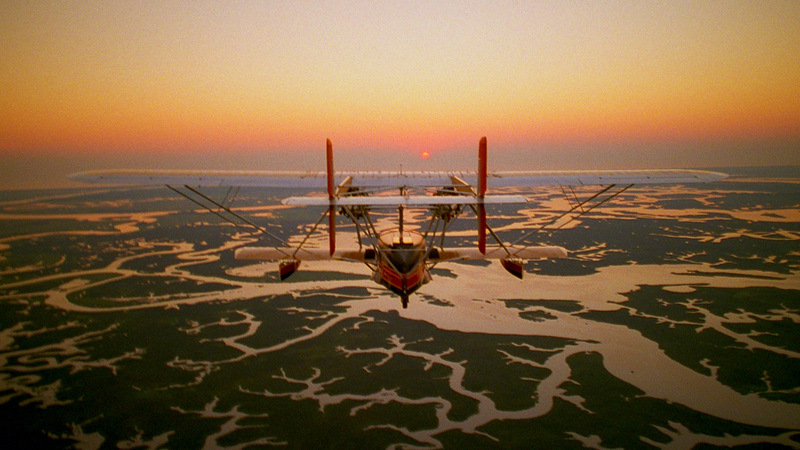 In 1998, his son, Sam Johnson, retraced his adventure. What matters most, said Sam Johnson, is whether we, as parents, have lived up to the expectations of our children. Sam Johnson, fourth-generation leader of SC Johnson, grew up hearing stories of his father’s adventures overseas. And none was as alluring as H.F. Johnson, Jr.'s legendary 1935 “Carnaúba Expedition” to Brazil. So, when Sam rediscovered a note his father had written — “To Sammy, I hope you make this trip some day. It changed my life.” — he knew he had to go. Sam Johnson’s 1998 expedition to Brazil was about more than simply adventure. It is a story of family and a father’s love, too. In 1935, H.F. and his crew took off in an amphibious plane bound for Fortaleza, Brazil. Their goal was to study the carnaúba palm, whose wax is the hardest in the world. It was the key ingredient in nearly every SC Johnson product at the time. 63 years later, Sam embarked on the very same journey. In retracing H.F.’s most famous voyage, Sam not only honoured his father, he began to understand H.F. a bit better, too. 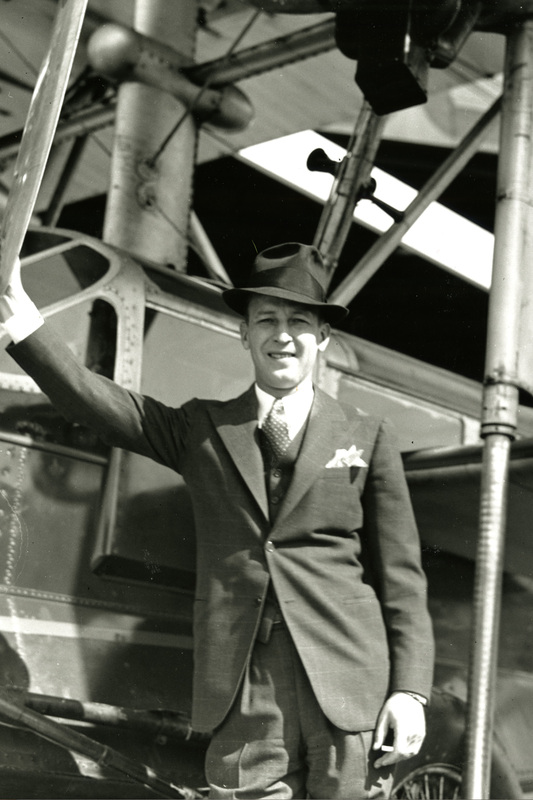 LEFT : H.F. Johnson, Jr., with his Carnaúba plane in 1935. RIGHT : Sam Johnson, with his Carnaúba plane in 1998. TOP : H.F. Johnson, Jr., with his Carnaúba plane in 1935. 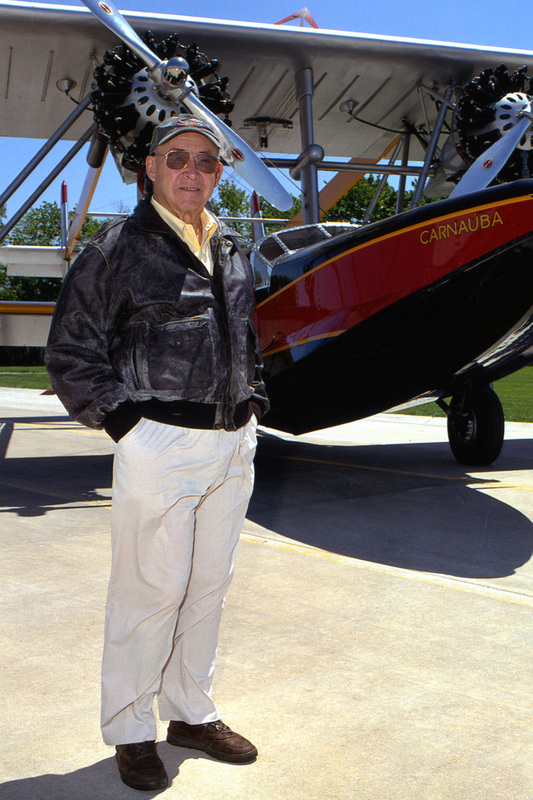 BOTTOM : Sam Johnson, with his Carnaúba plane in 1998. While the 1998 expedition commemorated Sam’s father, it also was designed to galvanise the people of SC Johnson. Sam aimed to inspire others to pursue courageous ventures in their lives and work. In fact, he believed the future of the company depended on it. Much like when his father announced his 1935 expedition, some people probably thought Sam was crazy to make the trip to Brazil in a tiny plane. But just like his father, something compelled him onward. But Sam was missing the most critical piece: the plane. How could he experience what H.F. had experienced if he wasn’t flying the Sikorsky S-38 plane that H.F. flew? The problem was that the original plane had been sold to Shell Oil and crashed into the sea in Indonesia many years earlier. In fact, not a single Sikorsky S-38 remained by the time Sam started planning his trip. And despite his best efforts to locate the original S-38, the Carnaúba remained missing until years later. So, Sam hired Born Again Restorations in Owatonna, Minnesota, to build a replica Sikorsky S-38 from scratch. They relied on extensive research, the original blueprints and some clever improvisation to make it happen. And the result was beautiful. 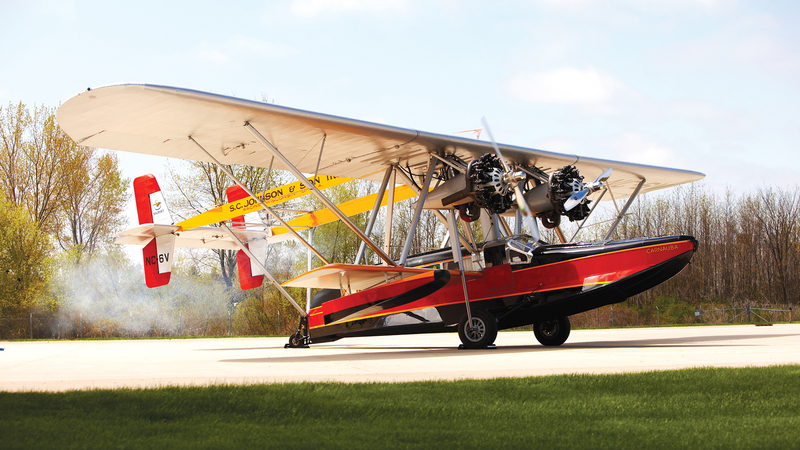 Using research, blueprints and improvisation, Born Again Restorations recreated the S-38 for Sam Johnson. Three and a half years later, Sam’s plane, named Carnaúba like its predecessor, lifted skyward. 35,000 hours in the making, the new S-38 was breathtaking. “People don’t usually love machines, but this airplane is a work of art,” said Sam. The replica plane looked identical to the original plane, but had some modifications to make it safer. These included better propellers, wheels and brakes, engines and avionics. Plus, its communications system included a satellite navigational system and a transponder. For the most part, however, it mirrored the experience the 1935 team would have felt. The new plane’s cruising speed was about 100 miles per hour, just a bit over the 96 mph the original expedition averaged. The Johnson family gathered in 1998 to see Sam and his sons off on their expedition to Brazil. In the 2008 film Carnaúba: A Son’s Memoir, Sam says that “the love of my wife, Gene, and the unselfish affection of my daughters, Helen and Winnie,” were coming along in his heart. Sam had toyed with the idea of becoming a professional pilot before deciding to join the family business. Now, he was happy to be back in the air. He felt as though his father was with him, supporting him on his journey. Together, the Johnsons soared over farmland, flocks of birds, autumn trees and the expansive Amazon river. Sam and his sons flew 7,500 miles each way during the 1998 expedition. Sam did successfully retrace his father’s expedition, and it was a marvelous adventure. But even more than that, it became a journey of family and understanding. Sam uncovered insights about his father and about himself as a father, too. And, remarkably in an era where business leaders often try to keep their personal lives personal, he generously shared these insights with all of us. The result is the film Carnaúba: A Son’s Memoir, with its amazing cinematography, soaring soundtrack and even more compelling message. It is a gift from Sam to parents everywhere. What was his father seeking, and what did Sam find? Beyond the sheer adventure of a 15,000-mile expedition, Sam Johnson discovered something even more powerful when he arrived. As he shares in the film, at the end of his journey, Sam realised the most important thing he had discovered. These words have become a sort of mantra for our company – for the impact we want to have, and the legacy we want to leave. They are carved on the wall of Fortaleza Hall on our global headquarters campus, and the 1998 replica aircraft soars above them. They remind us every day of the Carnaúba Expedition of 1998 and of Sam’s hopes for all of us: to explore new ideas, take risks, be energised in the pursuit of a dream, and to consider, always, the future generations who will follow. Join Sam Johnson on his journey to retrace H.F.’s life-changing flight to Brazil in Carnaúba: A Son’s Memoir. Our films screen at The Golden Rondelle Theater on SC Johnson’s campus in Racine, Wisconsin.